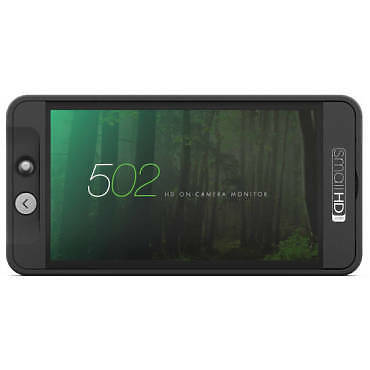 The SmallHD 502 on-camera monitor features a Full HD, 1920x1080 LCD display. With a pixel density greater than the iPhone 6, the 502 is the sharpest 5-inch camera-top monitor in the world. As far as color and contrast are concerned, the 5-inch display is again, best-in-class. The 502’s LCD display is able to produce 85% NTSC Color Gamut (greater than the REC. 709 color standard), rivaling the color capabilities of OLED technology. The 502 makes signal processing simple. 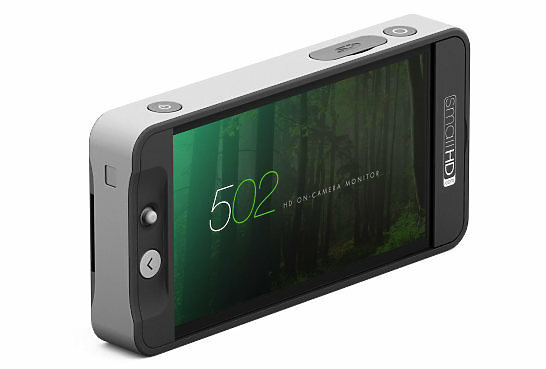 Using a custom-built processing engine, the 5-inch field monitor will accept nearly any resolution and frame rate from nearly any camera. Its size, weight, and resolution make it an attractive option for DSLR shooters looking to attach it straight to the camera, while its robust mounting options and durability allow the display to be used on a gimbal or shoulder rig without adding bulk. The joystick on the 502 on-camera monitor allows shooters to experience the flexibility of a touchscreen display without all the downsides. An integrated joystick prevents smudge marks on the screen, camera jiggle during operation and reduces the overall cost of the device significantly. Flexibility and ease-of-use are taken to the next level with the 502’s bluetooth remote. By mapping the physical interface and functionality of the 502’s joystick to a bluetooth remote, shooters will be able to interface with the monitor without physically touching the monitor.